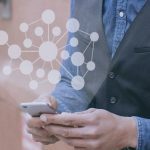 FinTech is the latest buzzword that is captivating banks and financial services organizations the world over. The financial services industry has seen a huge influx of technology innovations with the emergence of startups and service providers. New companies are launching easy to use apps, have simplified online payments, opened an API economy for easy consumption of innovation. Banking technology has become highly collaborative to cater to the varied customer interests. Big banks are trying to replicate these startups by providing convenience to their customer. Banks are striving to create differentiation in the minds of their customer base through Artificial Intelligence powered Bots for superior customer service, OCR facility for faster data collection, Robot powered branches and much more. New mobile technologies are finding a place in our life every day and customers are expecting banks to assimilate these innovations into their banking apps as well. Many CIOs & CTOs are looking to integrate these innovations in their existing apps and websites. There is pressure on them to incorporate these innovative technologies in their existing digital properties without compromising the customer experience. Experimenting with newer processes and emergence of fresher competitors using better technology makes it critical for banks today to be dynamic. Digital transformation is an on-going process with numerous changes of course direction required. Just creating a mobile app isn’t enough anymore – banks must keep adding services, provide more facilities and address usability issues real fast to retain end customers. However, these changes are not very easy to incorporate in their existing banking apps or websites due to a spaghetti of their legacy systems weighing them down. The legacy business solutions are not attuned or flexible enough to help change direction quickly and frequently. Financial services organizations must now look at platforms for building their web solutions or mobile apps from the adaptability point of view – how can these platforms cope with new rules or additional services without a huge explosion of costs? Legacy systems and platforms are not agile enough to adapt to these modern technologies. Banks need to invest in robust app development platforms that make app building easy and flexible, without compromising on security or scalability. Creating digital assets like apps or websites should be broken down from a clunky code to a highly flexible code base that is easy to deploy and modify based on requirements. Banks need to think differently about their app development and be ready to address problem areas and resolve customer queries quicker. Releasing new functionalities, displaying regulatory changes or tweaking the UI/UX based on customer feedback should be fast and low-risk, rather than being a monthly activity. Big banks and financial organizations should combine the stability and security of legacy systems with the agility and innovation of small FinTech’s. Streebo is building apps for leading banks and financial services organizations using flexible platforms which can be easily integrated with legacy systems. With a point and click interface, Streebo is now able to easily customize and assemble apps. Powered by a robust IBM® Mobile Development platform, this automation platform is built using latest frameworks and any evolution of new frameworks or emergence of new devices can be easily addressed by your mobile app. This flexibility doesn’t hinder the security of your digital assets due to the underlying IBM® platform. Watch how this platform has been used to develop apps for one of our customers. Being nimble in introducing emerging technologies will define how customers perceive the bank’s digital assets. For future growth and driving customer satisfaction, increasing the speed of delivering innovation without compromising security or scalability is key. 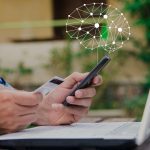 Banks are collecting a lot of data on their customer behavior and the speed with which they take these insights to action will determine the success of their mobile initiatives. Write to info@streebo.com to learn more about our app development platforms for your bank.